WISH meets in Sunland every Tuesday from 9am – 3pm during the school year. Each hour provides several choices of class offerings for Kindergarten through 12th grade. Location: Sunland. Serving Los Angeles County. WISH is a cooperative organization providing a variety of core and elective classes for K-12th. Full day semester program $250 per child. 13-15 week semesters. 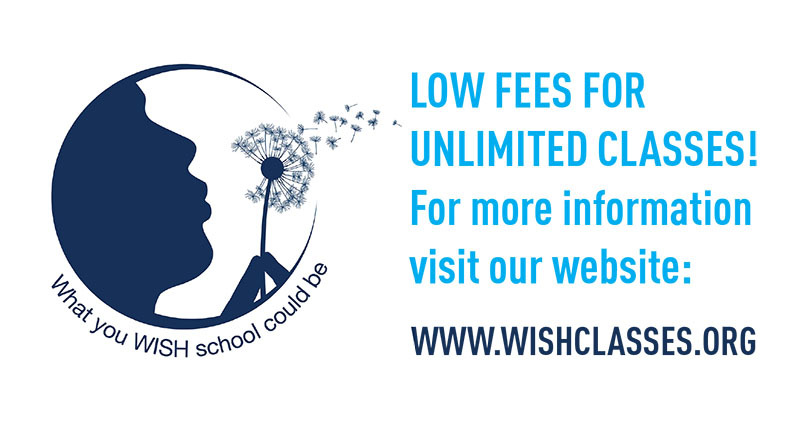 Visit wishclasses.org for more information.